As another seven days passes, we have another round of news for you all, including the new Audi A7, the facelifted BMW M4, and a Mercedes-Maybach concept car teaser! 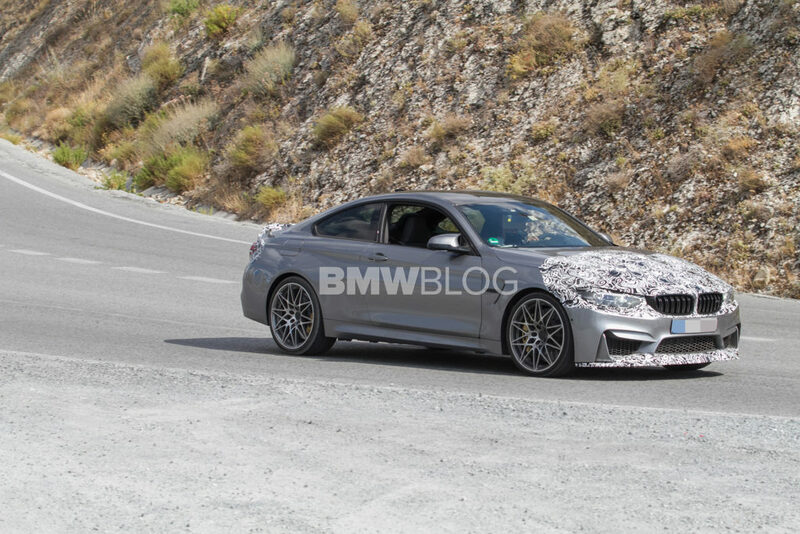 A facelifted BMW M4 has been spied undergoing testing on the road. The M4 was launched in 2014 and as you'd expect, a mid-life facelift is on the way to freshen up the car's look. Whilst the car is stunning already, the facelift looks to take it a step further with a number of subtle changes. On the outside the only changes are new air intakes on the front bumper and some awesome-looking new lights too. On the inside there's likely to be changes too. Although we can't see them from the photos, rumours suggest a tweaked interior and updated infotainment system will accompany the facelift. There could also be a power increase from the current 425 bhp, however it's difficult to predict how much considering the Competition Pack is currently 444 bhp. The facelift will launch in 2017, so more details should emerge over the next six months. 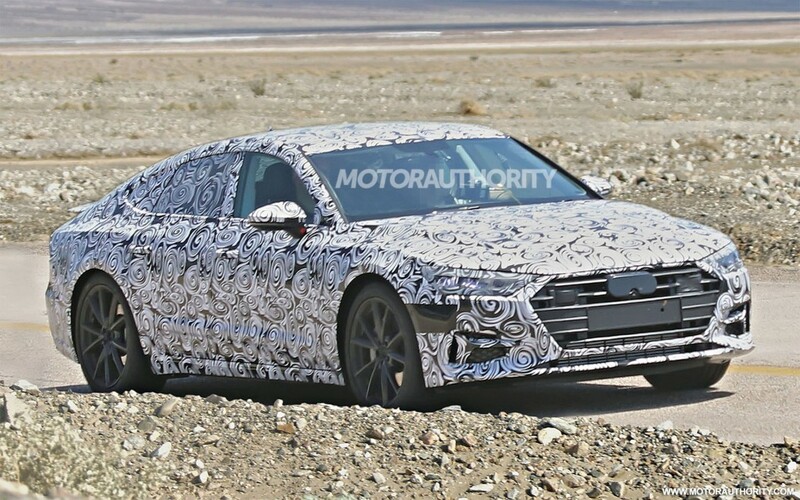 The latest Audi A7 has been spotted out and about going through road testing. Audi's A7 is set to receive a refresh, and we can now get a taste of what it'll look like with these spy shots. Although the car is covered in the traditional unrevealing camouflage wrap, you can make out some of the obvious changes including the new grille that mirrors the rest of the new Audi cars, plus new headlights, taillights and more. Engine-wise you can expect the usual Audi V6 and V8 engines in both petrol and diesel forms, however these photos show the car with no exhaust pipes, suggesting that perhaps an electric or plug-in hybrid version is on the way. Details at this stage are naturally quite scarce as the car isn't due for release until 2018, however we may see more spy shots and information emerge over this year and in 2017. German manufacturer Mercedes-Benz are set to release an all-electric sub-brand known as 'EQ'. Due to the ever-growing all-electric car market, Mercedes has decided to launch their own range of cars - set to compete with brands such as Tesla, Porsche, and of course Audi and BMW - using the 'EQ' prefix. The luxury car manufacturer has put in trademark applications for every nomenclature from EQA to EQB, as well as slogans such as 'EQ inside', 'EQ boost' and 'Generation MEQ'. Whilst Mercedes are being understandably quiet about the EQ range, it is suspected the the first model to launch will be the EQS - their rival for the Tesla Model S. After that, you'd suspend the C or E-Class- equivalents will be next, meaning an EQC or EQE. The EQ range isn't expected to go on sale until some time in 2019, but it does have us excited for the future of the Mercedes brand. The latest Civic Type R has been spotted being tested on the UK roads. Although the current model only launched last year, Honda will reveal the next version in the shape of a concept at October's Paris Motor Show. The new Type R's styling is expected to be significantly different to the current generation, with Honda aiming for a more subtle, less aggressive look to subsequently appeal to a wider audience. The most noticeable change is the removal of the rear wing, plus a softer front bumper and rear diffuser to help done down the usual extreme look. Of course the new Type R will still be pretty aggressive, with the usual flared wheel arches, giant air intakes and more - so no need to panic avid Type R fans! The all-new Civic Type R will launch next September, and we're already looking forward to seeing how the new changes will affect the car's look! Mercedes have released a new teaser for their Maybach 6 concept. As with all teasers, not much is revealed, however that hasn't stopped the car world from speculating on what the car will be. The name 'Vision' refers to the car's state as a concept model, following previous models such as the Vision Gran Turismo and Vision Tokyo. The '6' however is quite interesting, as it suggests the car is likely to be over six metres in length. The teaser itself doesn't show much of the car, but the most noticeable feature is that of a giant grille that literally covers the whole width of the car. There's also some smart headlights and small wing mirrors that both seem to focus on styling than function. The Mercedes-Maybach Vision 6 will be revealed next week on Thursday 18th August, so we'll have to sit patiently until then.